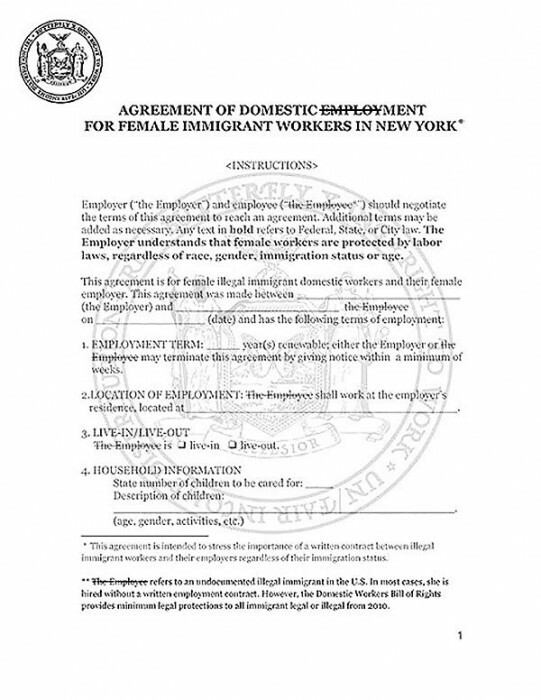 Agreement of Domestic Employment for Female Immigrant Workers in New York is a contract that contemplates means to document labor exchange based on personal trust in lieu of a legal binding. This agreement attempts to suggest a radical non disclosure binding that does highlight an employee's immigration status symbolically with the stroke across term, Employ. 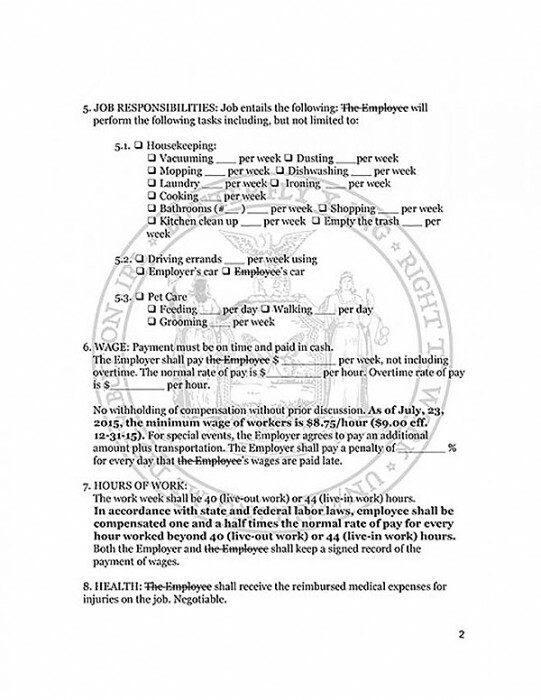 By underscoring one's status with the typographical presentation, Employee, the agreement attempts to invent the ways to document undocumented immigrant's social position. Through such legal and symbolic implication, this work aims to find a new approach to verify one’s identification and related written frameworks in relation to undocumented worker's labor market and economy. This original Agreement was developed through a collaboration between the artist and Alison and Pauline, and advised or reviewed by Michele Gover, Esq; Ann Marie Puente, Esq. ; Shevaun Wright, Esq. (and artist); Chan Kim, J.D.